Denver, the Queen City of the Plains, has a vibrant, robust culture that is only becoming more unique as the city continues to accommodate young people from around the world. From incredible museums to beautiful botanic gardens to art-filled parts of town, Denver is home to a handful of amazing cultural experiences that should be added to your must-see list. Denver’s Botanic Gardens are a beautiful way to spend an afternoon under the Colorado sun. The gardens feature North America’s largest collection of plants from cold temperate climates around the world as well as a variety of theme gardens and a small bamboo forest. Tickets are $12.50 for adults and $9.50 for seniors & military. 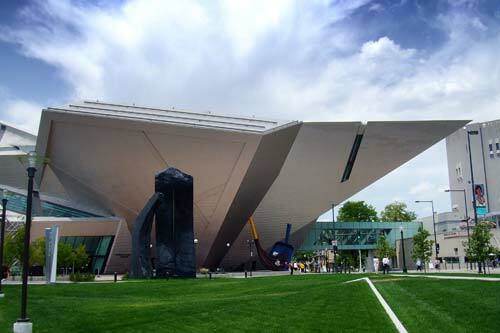 One of the largest art museums between the west coast and Chicago, the Denver Art Museum is known for its mix of modern, impressionism and Native American artwork. The building itself is a can’t miss feature, showcasing innovative, geometrical architecture amid Denver’s high-rise buildings. If you’re a fan of art or want to see wandering around looking at cool stuff, this is the place for you. Tickets are $24 for non-members, $5 for youth (ages 6-18) and free for children (5 and under). Yes, Denver is in fact in the middle of the country where there are exactly zero oceans. That being said, the Denver Aquarium is surprisingly fun and expansive featuring fish and other forms of sea life from across the globe. Somehow tigers and chimps have found a place here too, making it a well-rounded experience. 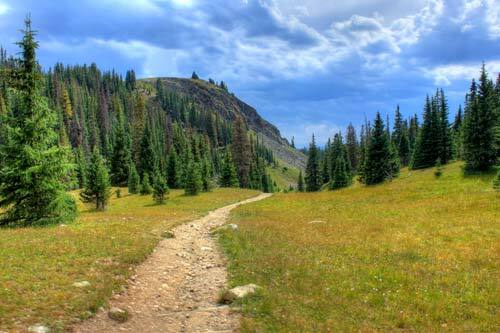 Take advantage of Colorado’s sunny weather with a bike ride along one of the many trails weaving throughout the city. The Cherry Creek trail is a good place to start as it winds through downtown and the Cherry Creek area, ending at the Cherry Creek Reservoir. If a longer bike ride is in the plans, the Bear Creek Trail is a great choice as it gives riders a chance to bike from Denver to Morrison. Rental bikes are available all throughout the city and getting around via the Cherry Creek Trail is a fun way to see the city. One of Denver’s designated Creative Districts, the Santa Fe Art District is home to over 60 art galleries, studios, and creative businesses. With its strong Hispanic roots apparent at every turn, the district boasts some of Denver’s most authentic Mexican culture. 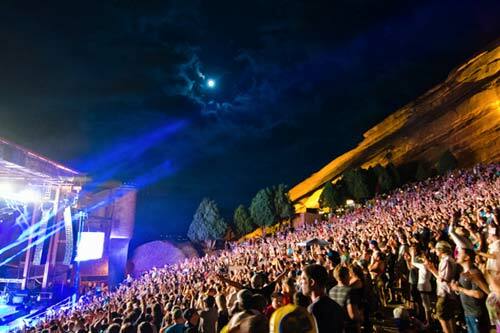 It also features craft breweries and other fun experiences such as The Mayan theater. Denver boasts a bevy of spacious parks to enjoy. Three of the most popular include Cheesman Park, City Park and Washington Park (aka Wash Park). Cheesman Park is located directly next to the Botanic Gardens in one of Denver’s most quaint neighborhoods. The park features a massive open field as well as a walking path and shaded areas for relaxing. City Park is just north of Colfax and engulfs the Denver Zoo and the Denver Museum of Nature and Science. It is the largest and most notable park in the city and features two lakes and a boathouse. There are fantastic views of the city from the park and it is always nice to take a stroll along the lakeside pathways. Washington Park is located in south Denver and has two bodies of water with various recreational water sports. There are also basketball and tennis courts, bike paths around the entire park, large flower gardens and a recreation center. 16th Street Mall is an outdoor mall that’s home to over 300 stores and 50 businesses. Street performing is popular on the mall and there are often pianos in the center of the 1.25-mile walkway for pedestrians to play. If walking the whole strip is too much, there is a free shuttle bus that runs along the entire mall. Baseball is back. After a well-fought playoff run in 2018 (pun intended), Colorado’s favorite baseball team is set to give it another go. Fortunately, they’re playing a game every day from April 18th to the 24th. If you’re lucky, you can get Rock Pile seats for $5, leaving plenty of money for food, drinks and cannabis! The Denver Zoo is yet another fun way to spend a few hours in Denver. After a walk through City Park, the zoo is a natural next step and contains another 80 acres of amazing things to see. The zoo boasts 613 unique species of animals and is proud to be the first zoo in the United States to use naturalistic enclosures rather than cages. Denver’s craft beer scene is nearly as big as the cannabis scene thanks to large numbers of craft breweries across the city. This tour makes it easy to drink your way through Denver’s LoDo and Ballpark neighborhoods, stopping by four local breweries along the way. If you’d prefer a place to drink, eat, bowl or play arcade games, Punch Bowl Social should not be overlooked. Something like a much-improved version of Dave n’ Busters, this lively venue has a good selection of beer, some solid food and fun games. Denver’s biggest LGBT club, Tracks has a decades long history in Denver. Featuring multiple dance floors and nationally touring DJs, Tracks is a fun place to go for a night out. Both marijuana connoisseurs and first-time consumers alike have made Lightshade their dispensary of choice, and for good reason. Lightshade's team of knowledgeable staff, exquisite in-store experience and dedication to supporting the community make them one of the top cannabis dispensaries in the state. Additionally, their philanthropic approach and commitment to providing cannabis education and an outstanding customer service makes Lightshade an industry leader. Stop in to one of their eight Denver-metro locations for high-quality flower, edibles, concentrates, tinctures, topicals, merchandise and more! When visitors take their first steps inside GroundSwell Cannabis Boutique, they are instantly met with a balance of high-end luxury and home-style comfort. This dynamic draws in a wide spectrum of consumers and GroundSwell's friendly, knowledgeable staff is there to help them every step of the way. With an expansive selection of high-quality cannabis, concentrates, edibles and more, GroundSwell is your one-stop shop for all things 4/20! Stop into GroundSwell today to take advantage of their 4/20 deals! Good Chemistry is known for their top shelf product with reasonable prices. With a strain rotation featuring 60 different strains, their selection is always diverse and it’s easy to find exactly the high you’re looking for. No matter what you’re looking for, Lucy Sky is sure to have it. Knowledgeable, friendly budtenders help customers choose the best product for their needs. Let Lucy Sky take you a mile higher with their high quality cannabis. 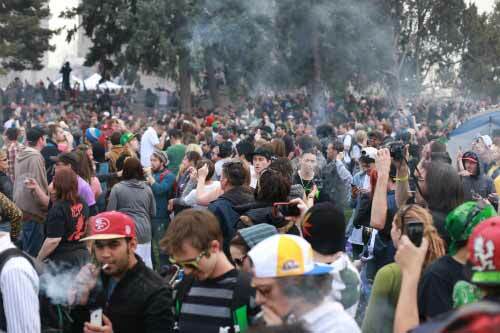 Looking for a 420-friendly lodging option? Thankfully, there are many cannabis-friendly hotels and private residences that allow consumption in and around Denver, CO. Most locations will only allow vaporization (vs. combustion), so plan ahead. Dozens is a hidden gem among a surprisingly large number of breakfast restaurants in Denver. Located on 13th and Cherokee, this is a convenient spot to go to before visiting the art museum and it has some of the best breakfast food in the city. The Steamboat Scramble is a fan favorite. Although there is quite a bit of competition in the breakfast game, Jelly consistently ranks among the best. With two locations in Capitol Hill and the University of Denver, this artsy restaurant is known for its jelly filled donuts and excellent food. When it comes to a really good burger, Park Burger has the winning combination. The casual eatery offers delicious shakes, fries and beer, making it a one stop shop for a seriously solid lunch. Some people call Snarf’s the best sandwich shop in Denver and once you take a bite out of one of their sandwich creations, it’s hard to disagree. Even though their regular menu is full of mouth watering sandwiches, word on the street is there is also a secret menu. Located on Broadway & 11th, Torchy’s Tacos offers street style tacos with a creative twist. Don’t be scared to go here in the morning either as they also have breakfast tacos. Because this is a recent addition to the Denver food scene, be prepared to wait. This popular spot has a menu that features eclectic dishes and amazing cocktails from around the world. The mortuary turned restaurant also has a rooftop lounge with fantastic views of the city. Fine Italian food isn’t all that easy to find in Denver, but Odyssey has mastered the Sicilian cuisine. The restaurant is in an old house on 6th Avenue which gives every meal an intimate feel. We recommend asking about the violin room for a more personal experience. Domo combines authentic Japanese cuisine with one of the most interesting decors to be found in Denver, bringing their customers a unique and memorable experience. The tables inside are massive tree trunks and sitting outside offers guests the chance to dine in a beautiful Japanese garden.